The 9-round FIA World Championship provided a full 72 hours of racing across four continents. I watched every minute of the racing this season, and it was usually quite exciting and over-the-top drama-filled. 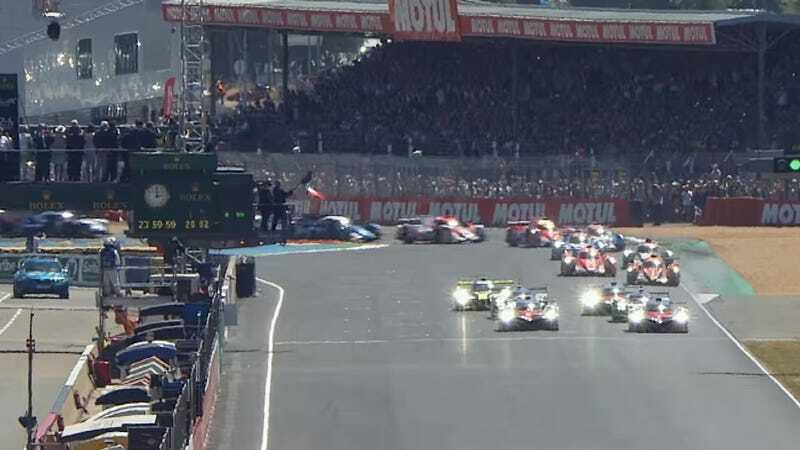 The 24 hours of Le Mans, in particular, this year provided an impressive battle of who can fail the most between Porsche and Toyota. Now you can re-live the action with this awesome season-review video. Outside of the LMP1 battles at the front of the grid, there was a lot of awesome happening in the lower tiers. LMP2 provided impressive tête-à-tête competition at most rounds, usually culminating in an impressive collision. The GTE ranks, both Pro and Am, were seriously competitive with some of the best tin-top drivers from around the world competing in Ferraris, Aston Martins, mid-engine Porsches, and bonkers Ford GTs. The series managed to boil down all 9 races into a simple 10-minute highlight clip reel, which you can watch below. If that’s not enough shitshowy action for you, the one-hour-long 2017 WEC season report is available on the series YouTube channel, here.